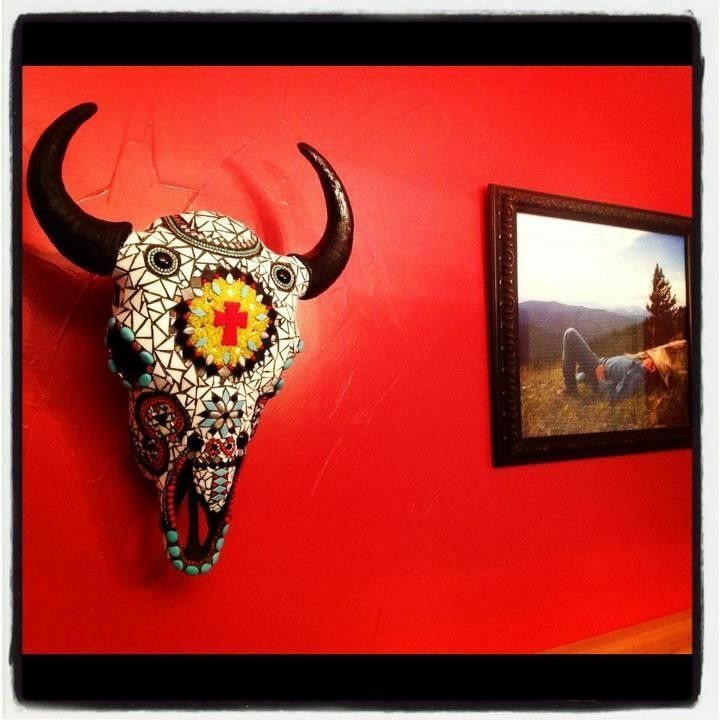 Authentic mosaic buffalo skull. The horn caps are screwed on to prevent from moving. I used glass tiles, beads, and mirrors. This would be an awesome conversation piece in any home or business. I would love to take your custom order. Please feel free to contact me with any questions or comments.